Whenever the name of Pakistani Cricket is churned out, we get an outright image of a nation which has widely epitomized and forge ahead the bowling standards of world cricket to a sky high level. They are regarded to be the forefathers of bowling arts like reverse swing while one of their fast bowlers exemplified the art of toe-crushing Yorkers in the map of cricket. One of the fastest bowlers of the world, Shoaib Akhtar decoded this delightful trend. He once asserted that in Pakistani culture, the bowlers are inspirited to find reasons to bowl faster and faster than the other way around. From fast bowling talents like Wasim Akram, Waqar Younis, Imran Khan, Fazal Mahmood, Sarfaraz Nawaz and Shoaib Akhtar to majesty of spinners like Saqlain Mushtaq, Abdul Qadir, Mushtaq Ahmed and Saeed Ajmal. They have been glorified as the land of seventh heaven for the production of class bowlers. They say that he is the man who blooded the veins of holistic fast bowling in this cricket crazy nation. 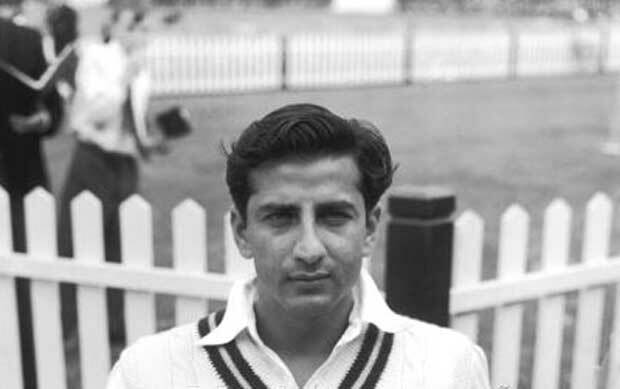 Fazal Mahmood is widely regarded as the first prominent bowler for the Pakistani country and the one who was the major force behind Pakistan’s rise to Test status as well as to their early grandeur and kudos. He was the first Pakistani bowler to surpass the mark of 100 wickets, which he achieved in 22 test matches only. Overall he participated in 34 test matches, and took 139 wickets at an average of 24.72 per wicket. He was supremely talented in the art of in-swinging and out-swinging the red cherry. He was also adept at bowling the leg cutters and using the crease to its full extent and much to the demise of the batsmen. He also held the record for taking 12 wickets in a match against four nations, in which he single handedly led his nation to victories. Apart from his brilliance on the field, he is characterized as the handsomest cricketer in the history of the sport. Benaud in his book ‘My spin on cricket’ had written that he could not take his eyes off Mahmood’s face, as the six-feet-two-inch tall and blue eyed Pakistani was the handsomest man he had ever seen.